Can Ipswich beat the odds by avoiding the drop to League One? Bottom of the Championship, eight points adrift of safety with just three wins all season, it’s fair to say Ipswich Town could have had a better beginning and middle to their season. The Tractor Boys have just 16 games to save their season and dramatically stave off demotion to League One. According to Betting-Directory.com, Ipswich are 1/20 for the drop. Is there any hope of Paul Lambert’s men proving the bookies wrong? Let’s take a closer look. Paul Hurst started the season in the Portman Road hot seat, winning one of his 15 games in charge. With the club stranded at the bottom of the table, Paul Lambert was appointed in October. Simple math tells you he's been twice as good as Hurst but much more was needed. The former Norwich boss is no stranger to the Championship. He led the Canaries to Premier League promotion in 2011. He has since gone onto manage both Blackburn and Wolves in the division, clocking up a total of 151 Championship games. The 49-year-old’s win percentage in the league is 38.8%. That figure must improve for Ipswich to play in the Championship next season. Lambert was given the task of saving Stoke City from Premier League relegation in 2017/18. He failed. Ipswich fans hope for a happier ending. 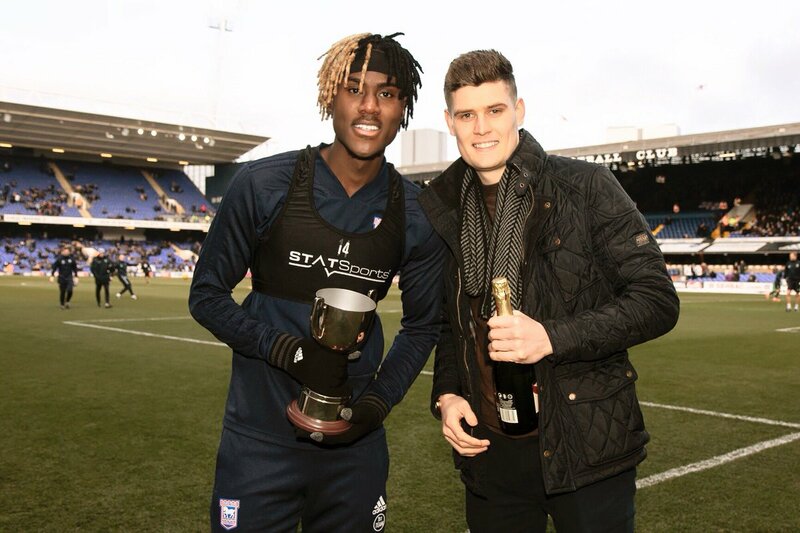 Just 19, Chalobah has made the Ipswich defensive midfield position his. The England U20 joined on loan from Chelsea in the summer and has appeared in all but one Championship game for the Tractor Boys. Although he plays in a defensive role, Nathaniel's younger brother has also contributed two goals and an assist. This is Sears’ fifth season with Ipswich. During his time at Portman Road, he's been in and out of the starting eleven. In recent months, the 29-year-old winger cemented a place in the attacking trio. Currently Ipswich’s top scorer, he's netted six times and supplied five assists. Playing mostly on the left wing, Sears' versatility allows him to fill in on the opposite wing and even up front. The centre half must show all his leadership capabilities if he is going to steer his club out of trouble this term. The 33-year-old captain is an experienced Championship defender who has started 29 games. Unfortunately, his side has only kept three clean sheets on the campaign, the division's worst and half the amount of the next best side, Rotherham United. Past seasons do not provide good reading for Ipswich fans. Since the Championship's formation in 2005, no team sitting bottom in early February survived the season. Over the last five sessions, three of the five cellar dwellers remained there. The closest a team has come to survival over the last half a decade is Burton Albion. Last season, they made a late charge to finish third-from-bottom, a mere two points from safety. Although Burton didn’t survive, it offers hope to the Tractor Boys. Records are there to be broken, and Ipswich have more than enough games to turn it around. One big win can make all the difference in football. Ipswich face fierce rivals Norwich City on Sunday. A win in that game can serve as a springboard to finish the season, especially as the Canaries are firm favourites to take three points from the game. Ipswich’s final two games come against promotion chasing Sheffield United and Leeds United, clashes where both teams may be desperate for points for very different reasons. Overall, things are not looking good. Ipswich lost their four top goal scorers, Martyn Waghorn, Joe Garner, Bersant Celina and David McGoldrick in the summer. For any club to recover from that is difficult, even more so on a budget. The quartet haven't been adequately replaced. The average points for survival in the Championship is 47. Town need at least seven wins from their final 16 games. With the run that they’re on, that's unlikely. Still, football has a way of surprising us at times.